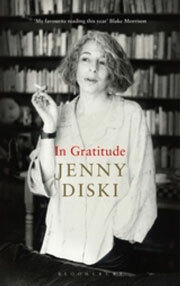 Jenny Diski was an English writer who died of lung cancer in April of this year, aged 68 years. This is her memoir, and quite a remarkable book it is. I loved her descriptions of the various medical encounters. There is an excellent description of the turmoil going on in her own head, intermixed with a remarkably insightful commentary on what she thought the doctor (‘my One Doctor’) was thinking (as distinct from saying). Her descriptions of chemotherapy are a timely reminder of what our patients put up with. Her treatment by the radiotherapy staff should be framed and put on the wall (in the radiotherapy unit) as a reminder of how not to treat the person who is the patient. Her description of fatigue – ‘With or without breakfast, the effort of getting up finishes off the day for me,’ – may be amusing to read but is probably an accurate account of what some of our patients suffer. The last section of the book deals with her relationship with Doris Lessing. The product of a difficult and fractured parental home, Jenny was taken in as a troubled adolescent by Doris Lessing, with whom she remained associated for the rest of her life. Whilst there are some interesting snippets about Lessing, this section is also about her own psychological introspections, being aware of which is an important part of caring for patients like her. For anyone who works in palliative care, this book is an enjoyable opportunity to reflect on how we deal with the physical and psychological symptoms of advanced disease as well as the challenges of trying to deliver holistic care. Diski’s style is quite unsentimental, in fact quite spare and ironic, and I would recommend this to anyone who works in palliative care as an enjoyable and useful read. US: available as Kindle; UK: not yet listed. Dr. Leah Kaminsky is a Melbourne GP and author, who says the reasons behind this book were to try and deal with her own lifelong death anxiety. Kaminsky tackles the subject from a number of angles – child mortality, health anxiety, near death experiences, living with loss, dealing with her own mother’s suicide, and exploring the idea of a ‘good death’. Her writing is interspersed with a lot of anecdotes from both her personal and professional lives. It is interesting to read and is pitched at the lay person. There is no preaching for physician-assisted death (Thank goodness! ), although it is mentioned along the way. In the end, she talks about how, by facing and accepting our coming death, we can learn to live in a more vital, fearless and truthful way. 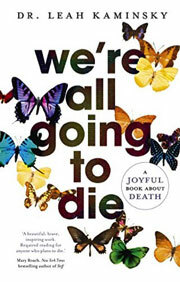 I think this is a good book for lay people to read, which demonstrates to them the need to think and talk and plan, and at the same time stop worrying about death every day and get on and live their lives. For one who works in palliative care, it left me staring at the big holes in the system, wondering how it can be improved. Somewhere it says, according to some particular grading system, that Australia is ranked number two in the world for the provision of palliative care. Well, I pity the rest of the world. We desperately need effective means to circumvent the personal (patients and families), professional (doctors and nurses), and institutional barriers that prevent honest communication about death and dying. If that were possible, then I think a lot of the physician–assisted dying business would settle down. But it requires a significant societal change and perhaps an even bigger one for some of my colleagues. Kaminsky uses many quotations in her discussions, but two of them stood out as perhaps being really meaningful to ordinary people. The first is an advance directive written by the former natural childbirth activist, Sheila Kitzinger. We need more simple home truths like these.